Biggles, Algy, Ginger and Bertie meet Marcel Brissac from the French police for the first time. 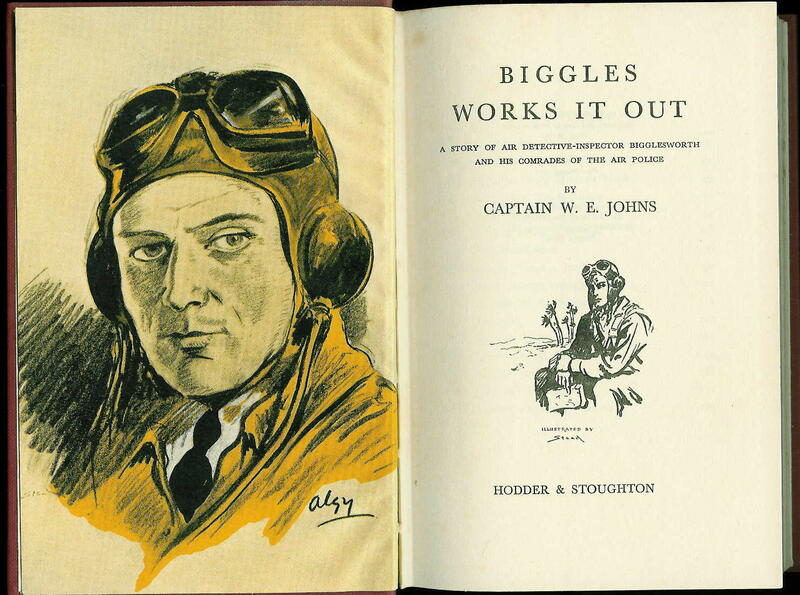 He is trying to trace a mysterious aircraft, which from sketches Biggles recognises as a Douglas D.C. 3. Biggles suspects the same plane has been used in a gold robbery from a gold mine in Australia and the team fly to Australia to investigate. Here they find two clues. A button and the paper wrapper from a tooth pick, given out in a hotel in Monte Carlo. Algy and Bertie fly to Monte Carlo on what appears to be the hopeless task of investigating the clues. Algy unexpectedly strikes a trail but is astonished when Bertie disappears. Bertie has taken a job with the bad guys as a pilot in order to infiltrate their organisation. Bertie is sent to their base at El Asile, in the Ahagger Mountains, deep in the Sahara desert. Algy learns of this after following a van, which leads to a secret aerodrome where he finds Von Stalhein. Algy hides himself on a plane and manages to overpower the pilot (a scene that is depicted on the dust cover of the book). After nearly being shot down by Marcel Brissac, Algy flies to El Asile and rescues Bertie but their escape is foiled when their fuel tank is holed and they have to land in the desert. Captured by Arabs, they are then taken on a raid on the base at El Asile. Biggles arrives later with French police and the team recovers the stolen gold. Von Stalhein escapes to fight another day.